Be on the lookout for peacocks in Long Beach. Ted Stevens, manager of Long Beach’s Animal Care Services, said he’s had recent reports of peacock sightings in a neighborhood just west of the Traffic Circle, while residents on Twitter have reported sightings near Colorado Lagoon and Ximeno Avenue near Sixth Street. Peafowl are common in Rancho Palos Verdes, where they’ve caused major controversy over the years, but they’re rare in Long Beach. 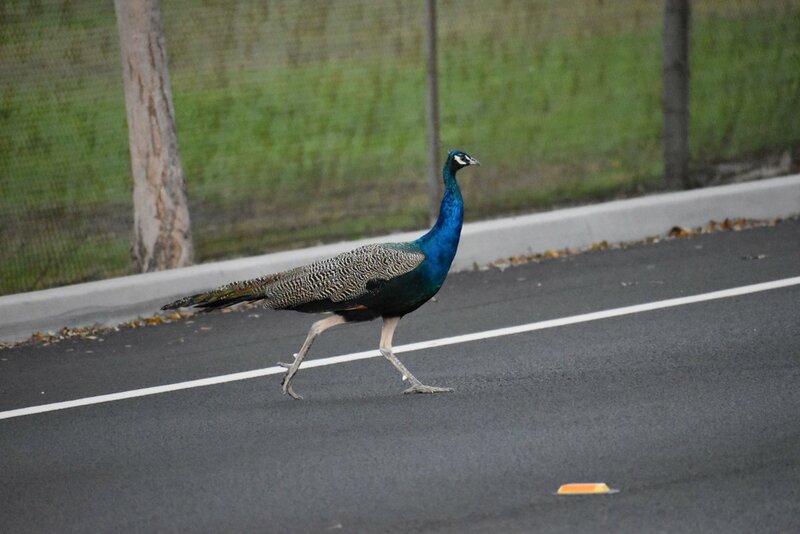 While animal controls officers have been called out, the birds are usually too fast to catch, Stevens said, adding that the Traffic Circle area is not a safe place for peafowl. Resident Ariana Gastelum said she spotted a peacock on Monday around 4:30 p.m. heading from the golf course to Colorado Lagoon. “I saw her crawl under the fence and run towards the lake, but then she changed her mind when she saw some kids on bikes and hopped on a nearby roof,” she said. Days later, another resident spotted possibly the same bird strolling down the sidewalk on Ximeno. This isn’t the first time peafowl have been spotted near Colorado Lagoon. In 2014, a peahen and her babies were captured after a month-long ordeal. Animal control officers were able to get the babies but the mother evaded capture for weeks. It was a resident who was finally able to capture mom, using her babies to lure her into a trap. The peafowl family was reunited at an animal sanctuary.